Another beautiful roundup of corporate and creative print-ready business cards with professional and well-organized photoshop PSD files. There are several hundred of business card design, especially letterpress, triplex, deep emboss, antique cards, celebrity cards, or cards made of unusual materials available but this is a collection of only high quality and Print Ready Business Cards for your business or ever personal. Business cards are representing company or individual bearing business information like company’s or individual’s name, address, e-mail, telephone number etc. Usually business cards are simple – black text on white background – including just main information and company’s logotype, but there are many other creative business cards standing out and really taking attention. 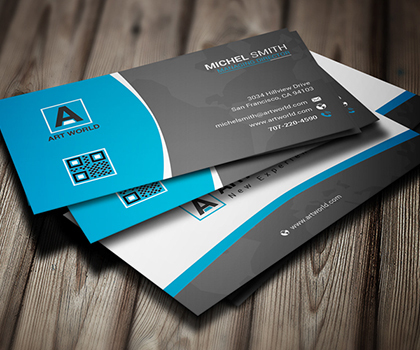 Check out the fresh list of Print-Ready Business Cards Design.